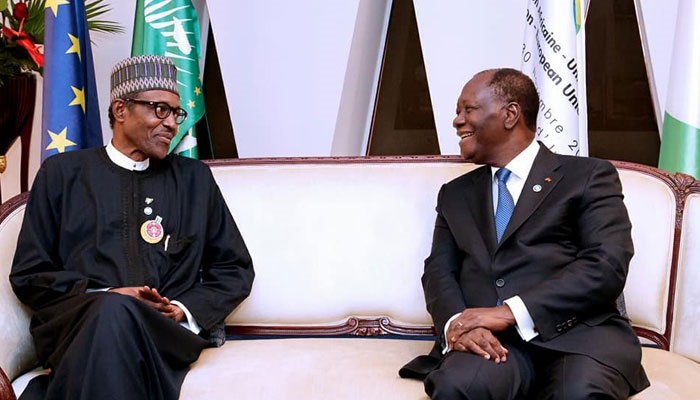 President Muhammadu Buhari and Alassane Ouattara of Cote D'Ivoire are concerned that the instability in Togo triggered by demands for constitutional reforms could devastate the rest of the region if not addressed. Since August, protests have been held, streets blocked and the demands for constitutional reforms have heightened in Togo. There have been military crackdown to match the cry for an end to Togo's 50-year ruling family dynasty. These demand and cry have persisted in the minds of the protesters even though they have been chased out of the streets and this is getting some African leaders worried. It could have grave consequence, they fear. Nigeria’s President, Muhammadu Buhari and his Ivorian counterpart, Alassane Ouattara, are a few of those. 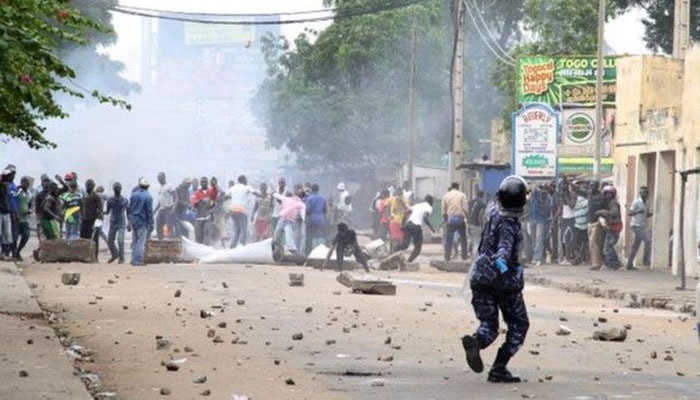 They have expressed concern that the political instability in Togo, if not averted, could have regional consequences. Both leaders expressed the view during a bilateral meeting in Abidjan on the margins of the 5th AU-EU Summit. "We must have a solution in Togo. The friends of the opposition and authorities must talk to them on the steps to jointly take to achieve stability. They must work towards gaining the trust of each other. "‘There will be regional consequences for instability in Togo and this will surely come at a cost to development," President Buhari said. 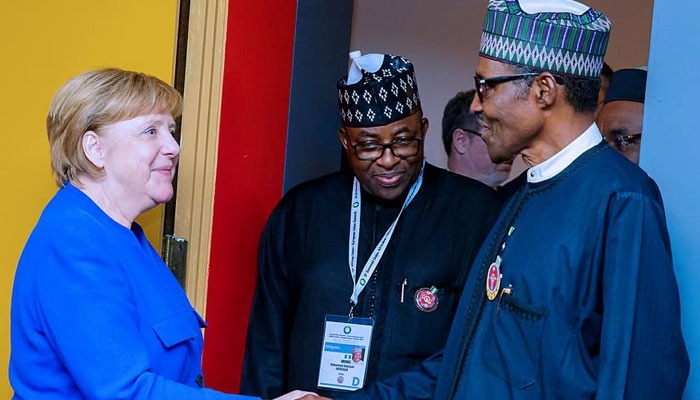 The Nigerian leader also had a separate bilateral meeting with German Chancellor Angela Merkel where the issue of stemming the tide of illegal migration of Nigerians to Europe took the front burner. The two leaders agreed to strengthen legal migration and made a commitment to expanding discussions on how to reduce illegal migration. On security, President Buhari told the German Chancellor that his government’s commitment to the security of lives and property in Nigeria remained absolute. Reaffirming the nexus between security and job creation in Nigeria, President Buhari said prompt attention was being given to the gainful employment of youths in Nigeria through education and the acquisition of skills and vocational training. He said Nigeria and Germany could draw from the experiences to cooperate effectively in the area of investing in youths for a sustainable future. The German Chancellor promised to increase support for Nigeria in dealing with terrorism. Merkel said 58 German companies were operating in Nigeria, adding that more companies had indicated interest to invest in the energy, manufacturing, agriculture and construction sectors. President Buhari also had fruitful bilateral discussions with Ghanaian President Nana Akufo-Addo and the Vice President of the Gambia Fatoumata Tambajang.